If you’re reading this, chances are you have entered the minefield known as stroller shopping. You have my sympathy. Ha! Before I had children, I didn’t see the point of buying a stroller which claimed to solve all my problems (yeah, but can it also do laundry?). Why buy an UPPAbaby Travel System? Being a mom is hard work, which is made harder when you don’t have the best tools at your disposal. I’m talking about car seats, strollers, and all the things you use each day to tote your child. There’s no time for complicated gadgets or anything that’ll make you frustrated. When you need to get from point A to point B, it needs to be efficient and dependable. That’s why using an UPPAbaby travel system is such a lifesaver once your child is born. It carries your baby from birth all the way to their toddler years. There’s no need to buy one stroller for when they’re a baby and another one when they become a toddler. Not only that, you can use your car seat with it for quick boarding and unboarding. If you have more kids, it can also be upgraded to accommodate them too! I may not always be the most organized mom, but with a travel system, things are less frustrating and more fun. But what actually is a travel system? In a nutshell, a basic Travel System is a handy stroller frame that allows you to easily snap and unsnap a car seat to your stroller’s frame. The idea is to make it easy to move your baby from your car to the stroller and vice versa. An advanced Travel System, such as UPPAbaby’s, will adapt to your family’s needs as time goes on. So you can use bassinet with it, a toddler seat, or multiple seats at once. How Many Children Can I Accommodate? From birth, the UPPAbaby travel system will fulfill your child needs. Their bassinet, toddler seat, and car seat are all designed to easily snap onto the Cruz or Vista stroller frame. Which one you need is up to you, but UPPAbaby will suit all your baby’s travel needs. 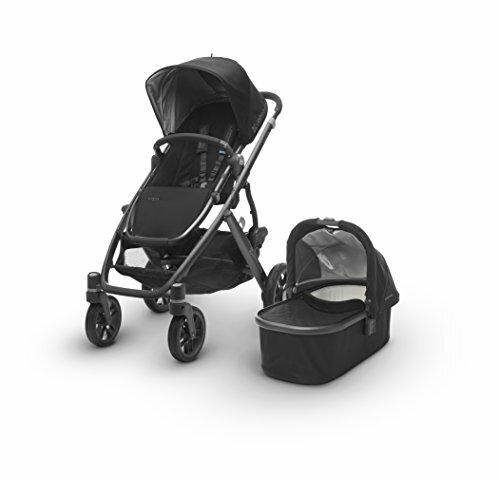 If you have two children, both strollers in the UPPAbaby Travel System will accommodate them. The basic stroller called Cruz, seats one child and can be upgraded for an older child to ride along, by standing on their glider board. The more advanced stroller called Vista seats one child, but can be upgraded to add a second child seat, turning it into a double stroller. You can use 2 bassinets, or 2 toddler seats, or 2 car seats, or one of each, simultaneously. 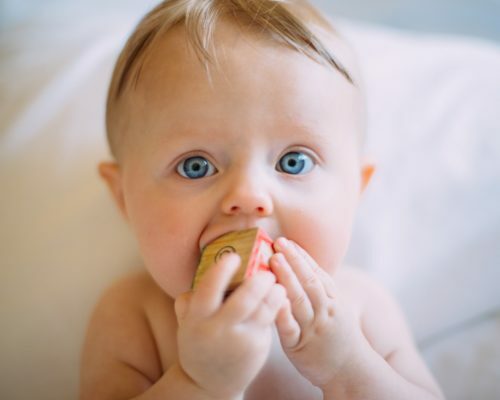 There are 9 possible ways to configure their bassinet, toddler seat, and car seat. And if you’re blessed with three children, the Vista can be upgraded to seat 2 children, plus the glider board. Aside from being an amazing stroller, you will also be burning calories and building muscle by pushing your small army around. Who needs a gym, when you’ve got kids! 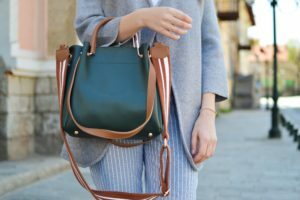 Can I Use a Different Brand’s Car Seat? Yes. 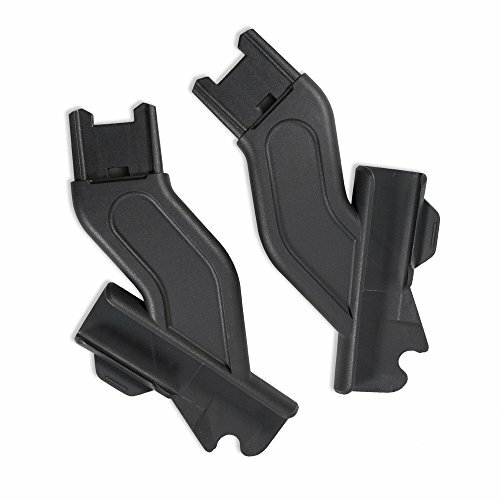 Although UPPAbaby sells their own baby seat called Mesa, which snaps into place without adapters, they also sell separate adapters that will allow for another brand’s car seat to be used. As car seats vary by brand, you can only use a few specific car seats with the UPPAbaby stroller frame, which I’ll talk about in my guide. 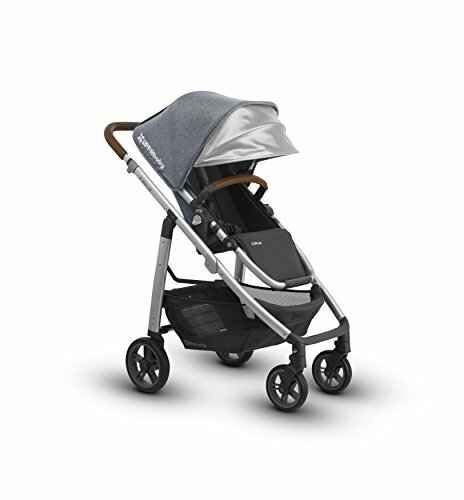 When you purchase the UPPAbaby Cruz stroller, you get a luxurious, compact, and easy-to-fold stroller, that is packed with features you’d expect from a larger stroller. It comes with a toddler seat for one child, aged 3 months to 50 pounds and can be upgraded for more options. A few of the popular upgrade options include the Snug Seat, bassinet, and car seat. Each one snaps onto the stroller frame in less than 30 seconds without tools to worry about. There are multiple configurations, which can be set to front or rear-faced seating. It can even accommodate a second child when you add a glider board (a tiny skateboard attached to the stroller). Compared to the Vista stroller, which can be upgraded to accommodate up to 3 children, the Cruz stroller costs $350 less. The main reason is that the Vista comes with a bassinet included and the Cruz stroller does not. Aluminum alloy stroller frame – strong, yet lightweight, the stroller frame is made of the same material used to build airplanes. Its tough build means it will deflect impact and will keep chugging along for years to come. Of the two UPPAbaby Travel System strollers, this one will slice through crowds with ease, since it is lighter and narrower than the Vista stroller. Toddler Seat – can be used from 3 months to 50 pounds weight. It also has a ventilated canopy, with a peek-a-boo window, and extendable sunshade with SPF 50+ protection. The sunshade comes right down over your child and is one of the best I’ve ever seen. To protect your baby from rain or insects, it also comes with a rain and bug shield. Oversized storage basket – underneath, has a 25 lb. capacity and a storage pocket. Compared to most strollers on the market, this basket is huge. It’s very welcome when you carry diapers, wipes, extra clothes, snacks, toys, and anything I buy at the mall. Car-Seat compatible stroller frame. UPPAbaby has a great car seat called the UPPAbaby Mesa, which attaches easily to the stroller frame. 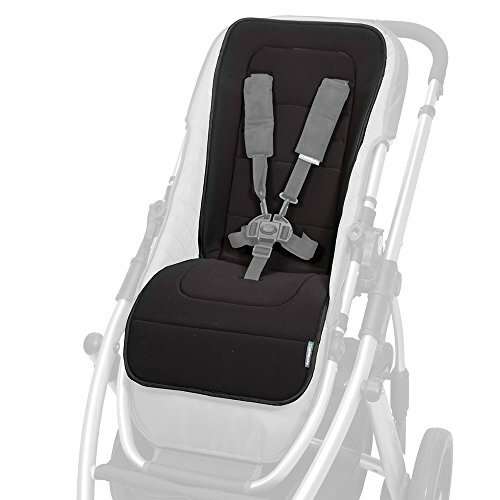 The stroller frame can also be used with some well-known car seats from other brands, by using an adapter. 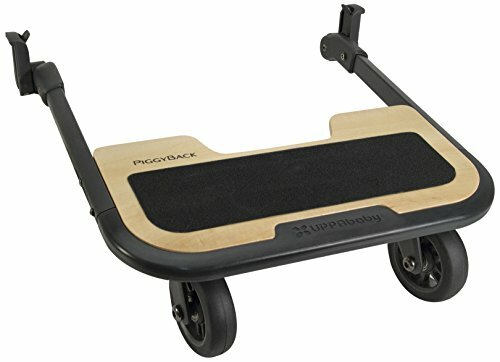 Upgradeable to tow a 2nd child on an UPPAbaby glider board. If you’ve got a small toddler who needs an occasional rest, the glider board is great for them to stand on while you push the stroller. An UPPAbaby bassinet can also be purchased separately and be used instead of the Toddler Seat, which is already included. To adapt the Toddler Seat for a newborn, an UPPAbaby Snug Seat can be purchased separately. One-touch folding, with or without the Toddler Seat attached. It stands on its own when folded, which is an absolute must. The last thing I need is to have to find somewhere to prop my stroller. Reclines with one hand to five positions, which includes a flat position for sleeping (and for Snug Seat and Bassinet use). Seat adjusts to rear or front-faced seating. Babies love to look at you when they’re in their stroller. When they get a little older and even more curious, the seat can be faced away from you so they can take the sights in. 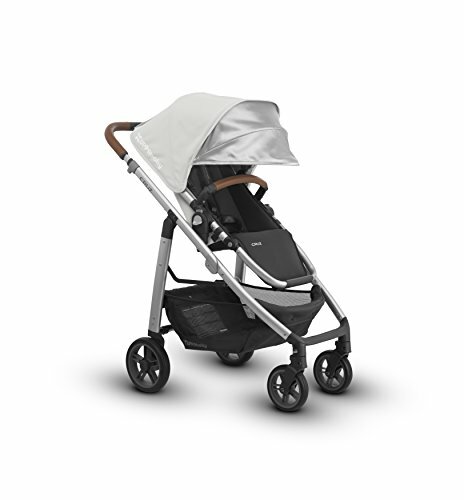 Height-adjustable canopy for growing children, with SPF 50+ sunshade and window with magnetic closure. As kids grow taller, it’s great to slide the canopy up to give their heads some space. Five-point harness protects your child when using the toddler seat. The harness has soft and comfortable shoulder pads, so your child will feel safe and comfortable. 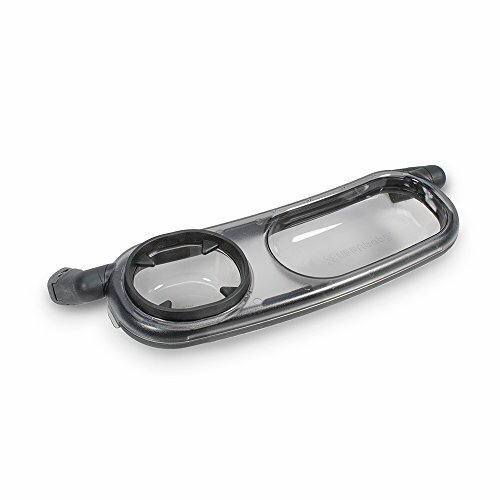 Telescopic handle adjusts to various heights for your pushing comfort. This is great whether you’re 5 feet tall or 6 feet tall. With a simple click of a button, it adjusts to a custom height for whoever is pushing it. Leather handlebar (for the driver) and bumper bar (for the child) on the following the models: Blue Marl, Hunter Green, and White. For an added touch of luxury, some of the colors come with leather details. Bumper bar hinges open for comfortable access to your child. Gone are the days that we’d try to shimmy our kids over a stationary lap bar. With the touch of a button, the bumper bar hinges open, giving you easy access to your child. Adjustable leg rest for your child’s growing needs. Never-flat tires filled with foam. One-step parking brake and locking front swivel wheels. Since the UPPAbaby travel system is so versatile, they also offer their own car seat, called Mesa, which fits either the Cruz or Vista strollers like a dream. The Mesa fits children from 4 to 35 lbs. They’ve taken the guesswork out of installing the car seat by adding color indicators that turn from red to green, when the car seat has been fitted properly. For this reason, the car seat has been awarded a NHTSA 5-star rating for ease of use. The car seat is naturally fire retardant, so no chemicals have been used. It also has side-impact protection, keeping your baby’s head stationary during a side-impact collision. Also, no adapters are required to use the UPPAbaby Mesa car seat and it takes less than 30 seconds to attach. 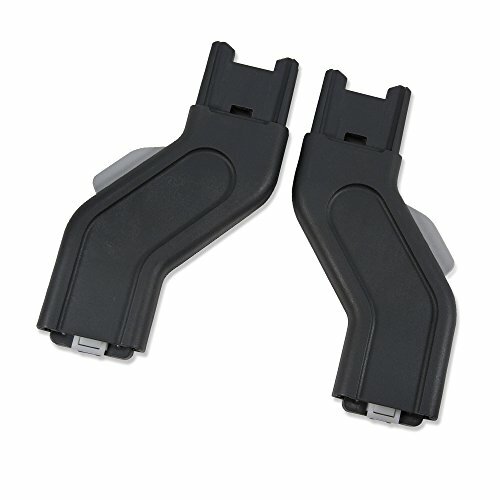 A car seat base is also included and takes seconds to install in your car. Lastly, they come in different colors to match your stroller. To accommodate other car seat brands, UPPAbaby has designed adapters which will allow them to be used with their travel system. 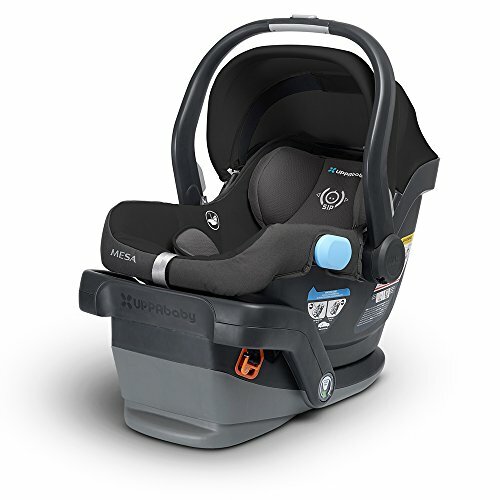 The following car seat models can be used with the UPPAbaby travel system. Use the Infant Car Seat Adaptor. Fits all Cruz models and Vista 2015-later. Use the Upper Car Seat adapter. Fits all Cruz models and Vista 2015-later. 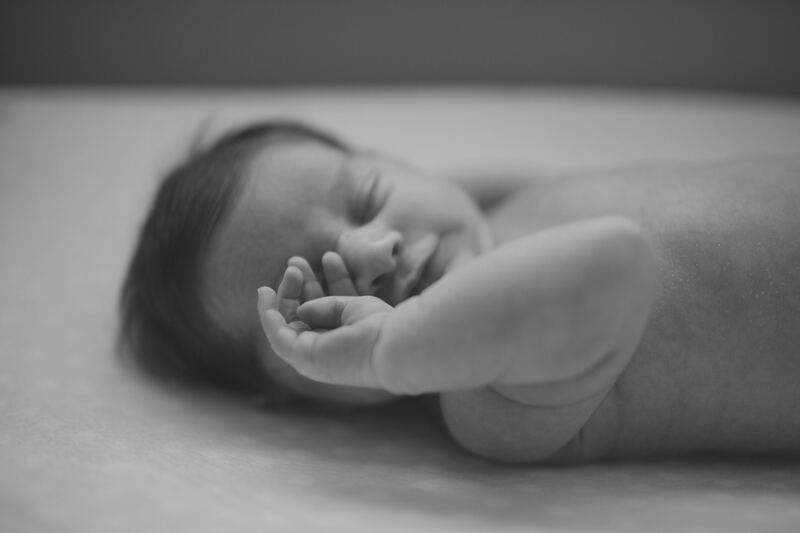 Allows your baby to lie completely flat. Suitable for babies up to 20 lbs. and 25″ long. It’s lined with a breathable mattress pad and has a vented base. It’s great for the occasional overnight stay with family. One-handed release button from the stroller. Also compatible with Vista 2015-later stroller. Can be used with the Bassinet as a temporary or permanent sleeping solution. Suitable for babies up to 20 lbs. and 25″ long. One-button bassinet release. 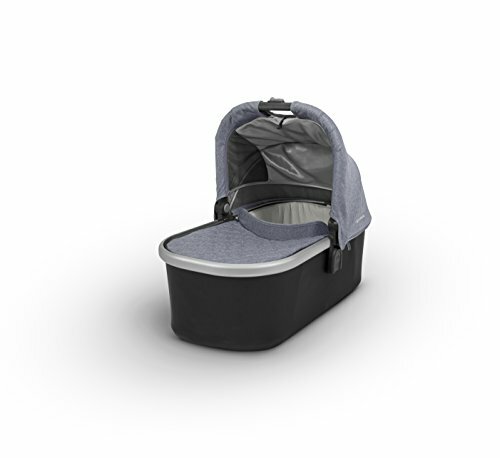 Can also be converted into a hamper with the UPPAbaby Hamper Insert. 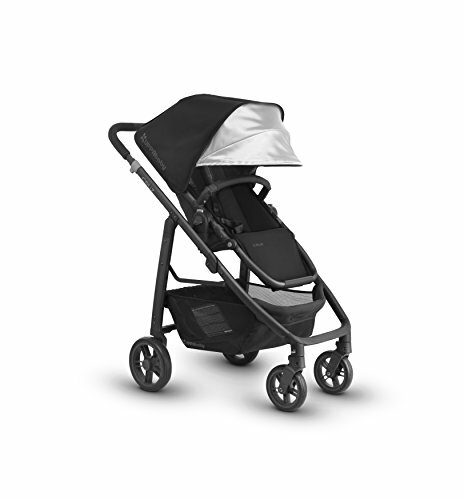 Can be used with the Toddler Seat, which is already included with the UPPAbaby Cruz stroller. It allows the Toddler Seat to be adapted for a baby from birth to 21 lbs. It provides extra comfort and stability for your baby’s neck and back when seated in the Toddler Seat. Also compatible with Vista Toddler Seats. Suitable for one child to stand on and come along for the ride. Big brother or sister stands on the non-skid surface, while the stroller is being pushed. Weight limit is up to 55 lbs. It quickly snaps on and off or lifts up when not in use. Keeps your child satisfied with their drink and snacks, while you stroll. It’s BPA-free and dishwasher safe. Stroller folds with snack tray attached. Intended for use with children over 9 months of age. For use with all UPPAbaby strollers. Made of neoprene, it hangs from the handlebar, giving you quick access to snacks, wipes, or your cell phone. A padded liner for inevitable spills and it’s even machine washable. Fits all Cruz and Vista strollers. Protects your stroller on flights. It’s made of 600denier, luggage-grade material. UPPAbaby guarantees your Cruz stroller will make it through your flight without damage when you register your stroller and travel bag prior to departure. Any damage that is caused during air travel is fully covered by UPPAbaby. Protects your bassinet on flights. 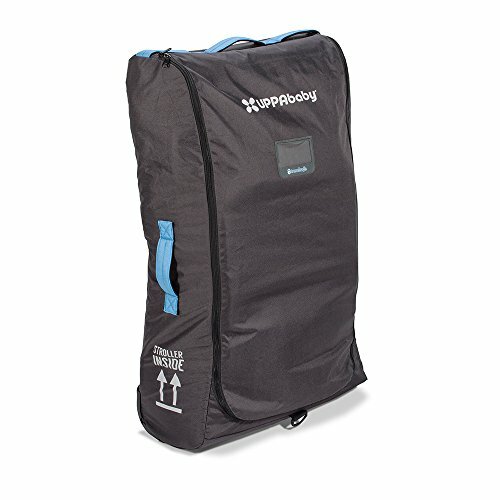 It’s made of durable 600 denier material and has carry handles and a removable shoulder strap for carrying. Register the bassinet prior to departure and UPPAbaby will cover any damages. UPPAbaby Bassinet Rain Shield – fits all models. Easy to attach and remove and folds for easy storage. Side vents let your baby get the right ventilation. The material is phthalate-free. 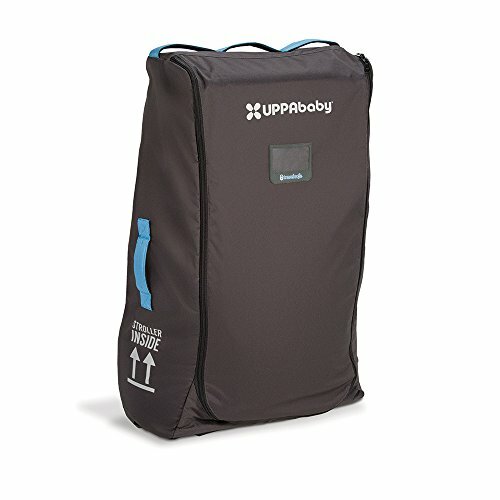 UPPAbaby Ganoosh Footmuff – from 3 months to 34 inches, this water-repellant footmuff covers your child like a warm blanket and can be used in 20F degree weather. The chest and neck warmer snaps beneath your child’s chin for added warmth. 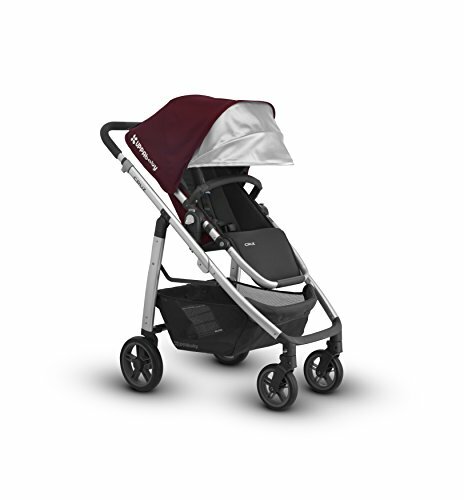 It fits on all UPPAbaby strollers, except the G-lite. UPPAbaby Cozy Ganoosh Footmuff – from 3 months to 33 inches, it is plusher and warmer than the standard Ganoosh. It has the added bonus of a fleece hood. To use, simply zip your child in and they will stay warm even in -20F weather. It can be used with all UPPbaby strollers. When you buy the UPPAbaby Vista stroller, you get a toddler seat and an infant bassinet included in the price. However, what you also get is a luxurious convertible stroller that can be upgraded to seat 2 children simultaneously, whether in a bassinet, toddler seat, or car seat. There are several chic colors to choose from, but the Blue Marl is definitely my favorite. There are nine configurations, which can be set to front or rear-faced seating. It can even accommodate a third child when you add a glider board (a tiny skateboard attached to the stroller). Everything snaps into place in less than 30 seconds, so there’s no tools or frustration to worry about. Aircraft-grade aluminum – strong, yet lightweight, the stroller frame is made of the same material used to build airplanes. It’s inevitable that it will be pushed into door frames and all manner of stationary objects. However, its tough build means it will deflect impact and will keep chugging along for years to come. It also has 4-wheel suspension, so despite rolling over uneven ground it will still feel like a smooth ride. Toddler Seat – can be used from 3 months to 50 lbs. weight. It also has a ventilated canopy, with a peek-a-boo window, and extendable sunshade with SPF 50+ protection. The sunshade comes right down over your child and is one of the best I’ve ever seen. To protect your baby from rain or insects, it also comes with a rain and bug shield. Oversized storage basket – underneath, has a 30 lb. capacity and a storage pocket, which is 5lbs more than the Cruz stroller. Compared to most strollers on the market, this basket is huge. It’s very welcome when you carry diapers, wipes, extra clothes, snacks, toys, and anything I buy at the mall. Car-Seat compatible stroller frame. 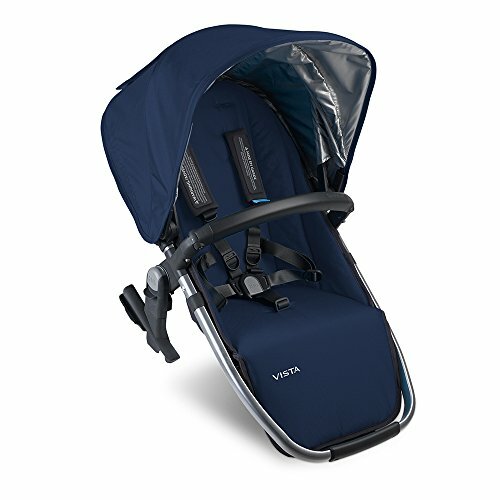 UPPAbaby has a great car seat called Mesa, which attaches easily to the stroller frame. 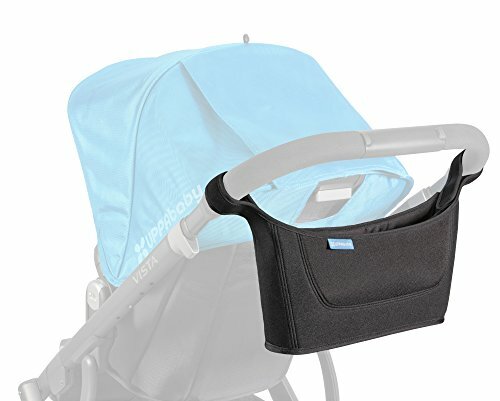 The stroller frame can also be used with some well-known car seats from other brands, by using an adapter. Upgradeable to a Double Stroller seating 2 children, and can tow a 3rd child on a gliding board. If you’ve got a small toddler who needs an occasional rest, the glider board is great for them to stand on while you push the stroller. Reclines with one hand to six positions, which includes a flat position for sleeping (and for UPPAbaby Snug Seat and Bassinet use). Seat adjusts to rear or front-faced seating for the bassinet, toddler seats, and car seats. The options are endless. Leather handlebar (for the driver) and bumper bar (for the child) on the following the models: Blue Marl, Hunter Green, and White. For an added touch of luxury, these colors come with leather details. Never-flat tires filled with foam core rubber. Since the UPPAbaby travel system is so versatile, they also offer their own car seat, called Mesa, which fits the Cruz or Vista strollers like a dream. The Mesa fits children from 4 to 35 lbs. Also, no adapters are required to use the UPPAbaby Mesa car seat and it takes less than 30 seconds to attach. The car seat base is also included and takes seconds to install in your car. Lastly, they come in different colors to match your stroller. Use the Infant Car Seat Adapter. Fits all Vista 2015-later and all Cruz models. Use the Upper Car Seat adapter. Fits all Vista 2015-later and all Cruz models. Allows baby to lie completely flat. Suitable for babies up to 20 lbs. and 25″ long. Okay, for baby to sleep in overnight, due to the breathable mattress pad and vented base. One-handed release button from the stroller. Also compatible with all Cruz models. 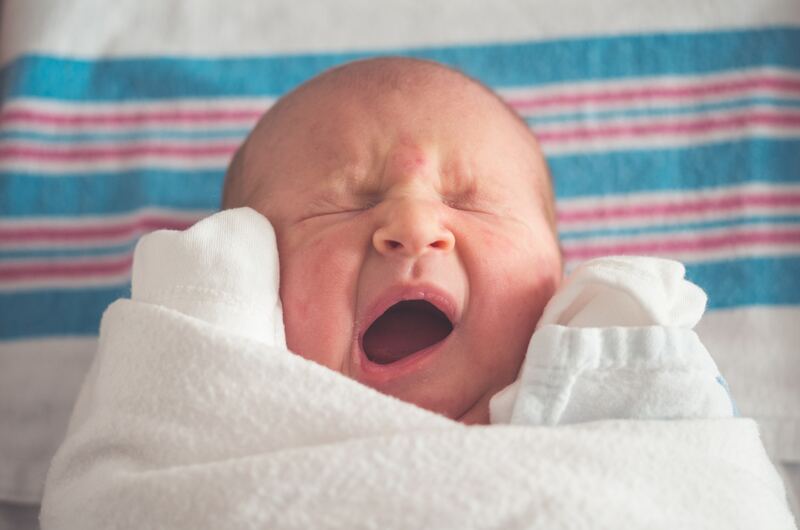 It can be used with the Bassinet as a temporary or permanent sleeping solution. Suitable for babies up to 20 lbs. and 25″ long. One-button bassinet release. 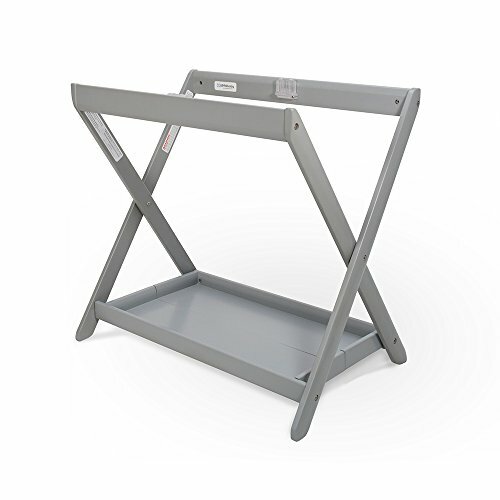 Can also be converted into a hamper with the UPPAbaby Hamper Insert. It can be used with the Toddler Seat, which is already included with the stroller. It allows the Toddler Seat to be adapted for a baby from birth to 21 lbs. 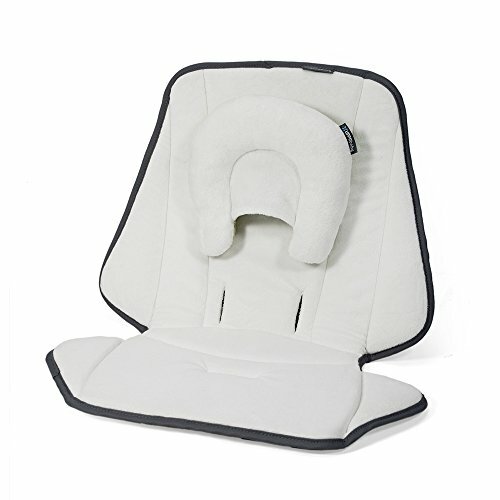 It provides extra comfort and stability for your baby’s neck and back when seated in the Toddler Seat. Also compatible with Cruz Toddler Seats. Also known as a “Rumbleseat,” it is slightly smaller and holds less weight than the Toddler Seat that comes with the Vista. For children 3 months to 35 lbs. It always sits in the lower position, over the front wheels whether in front or rear-facing position. It’s only necessary when using the Vista as a double stroller. They’re used with a Bassinet or Mesa Car Seat. The “Rumbleseat” does not require lower brackets, as it is designed to only attach in the lower position. It’s only necessary when using the Vista as a double stroller. As the name suggests, they go in the upper portion of the stroller. It can be used with the Toddler Seat(included), Bassinet, or Mesa Car Seat. Fits the stroller frame and toddler seat or the stroller frame and bassinet. 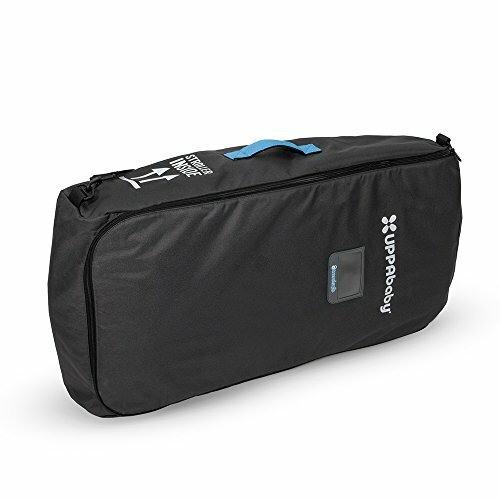 It protects your stroller when you’ve checked it at your flight’s gate. It’s made of 600 denier, luggage grade material. UPPAbaby guarantees your Vista stroller will make it through your flight without damage when you register your stroller and travel bag prior to departure. Any damage that is caused during air travel is fully covered by UPPAbaby. Perfect for evening strolls, the Vista wheel reflectors snap onto front and back wheels and lets drivers see where you are at night. Whether on your street block or at the grocery store parking lot, it’s a simple upgrade that makes a difference. Bassinet Rain Shield – fits all models. Easy to attach and remove and folds for easy storage. Side vents let your baby get the right ventilation. The material is phthalate-free. Ganoosh Footmuff – from 3 months to 34 inches, this water-repellant footmuff covers your child like a warm blanket and can be used in 20F degree weather. The chest and neck warmer snaps beneath your child’s chin for added warmth. It fits on all UPPAbaby strollers, except the G-lite. Cozy Ganoosh Footmuff – from 3 months to 33 inches, it is plusher and warmer than the standard Ganoosh. It has the added bonus of a fleece hood. To use, simply zip your child in and they will stay warm even in -20F weather. 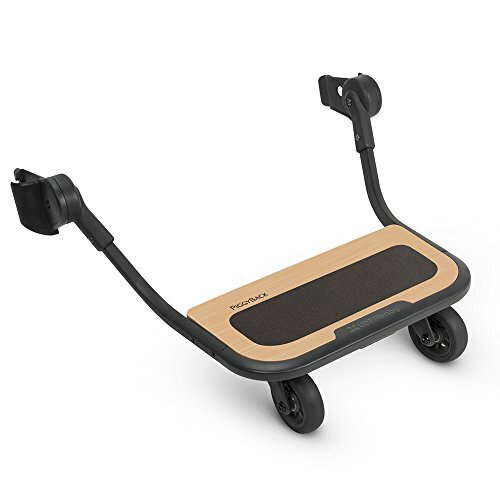 It can be used with all UPPAbaby strollers. Buying a luxury stroller has many benefits. With the UPPAbaby Travel System strollers, you are getting both beauty and innovation. Buying a stroller for your baby is not only an investment, but something that will affect your life on a day-to-day basis. Comparing the Cruz and Vista models, begs the question – do you want something slim for your small family (Cruz stroller) or do you want even more options with a bassinet included (Vista stroller)? Both strollers fold and adjust with one click, but for my money, I would choose Vista. It gives me the option of turning it into a double stroller or even a triple stroller. In terms of resale value, the Vista will appeal to more people, just like a house with more bedrooms, bathrooms, and a garage will do. Whether you go for the UPPAbaby Cruz or Vista, you are getting a stroller that is worth every penny and will make your child comfortable and safe in style.